9 novels from Australia and 4 from New Zealand are among 142 titles that have been nominated by libraries worldwide for the 2015 International IMPAC DUBLIN Literary Award. The Australian titles include The Narrow Road to the Deep North by Richard Flanagan; Coal Creek by Alex Miller, and The Swan Book by Alexis Wright. 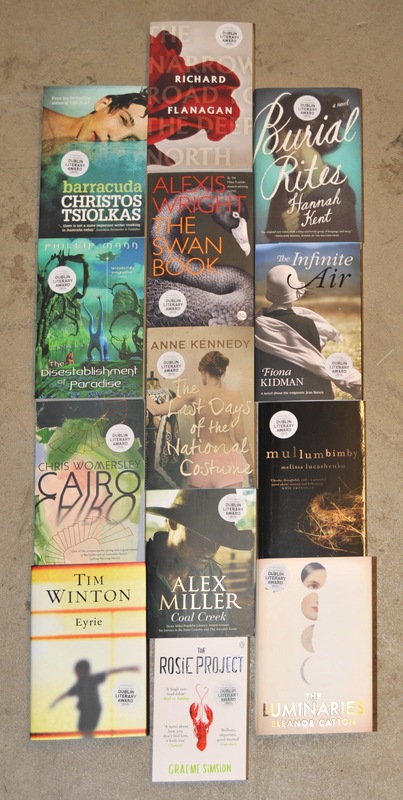 The New Zealand titles include The Luminaries by Eleanor Catton; The Infinite Air by Fiona Kidman, and The Last Days of the National Costume by Anne Kennedy. Australian libraries in Adelaide, Brisbane, Canberra, Melbourne and Sydney and libraries in Auckland, Christchurch, Dunedin, Timaru and Wellington in New Zealand nominated books for the 2015 award. Australian author David Malouf was the first winner of the award in 1996 for Remembering Babylon. *Download the 9 novels from Australia and New Zealand in 2015 Award media release.